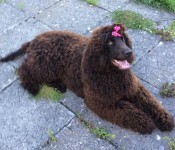 Show quality pure bred litter of Irish Water Spaniel puppies from beautiful parents of show class and sport / working qualities. 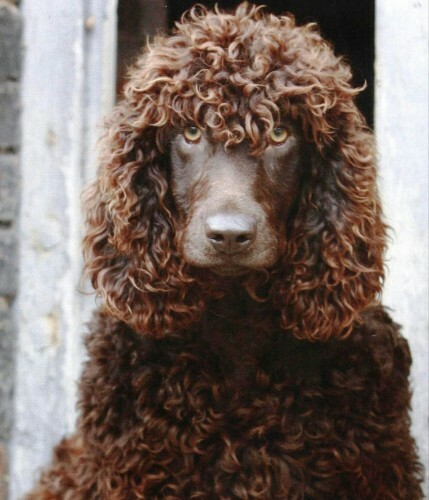 We are not breeders but try to preserve and restore this endangered species of native Irish dogs. We have their parents, grandparents and great grand parents pedigree lines registered with the Irish Kennel club and the Irish Water Spaniel Club. Both male (Sire) and female (Dam) are available to be seen. The puppies will come with IKC registered papers, vet checked, fully wormed, fully vaccinated, microchipped when they are leaving for their new homes! 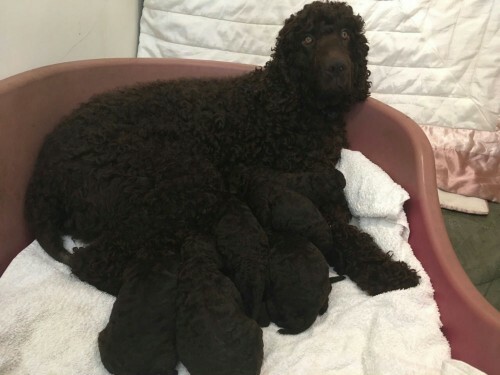 Both mother and father are our family pets and the puppies will be available to view within the next few weeks. The temperaments of mum and dad are exceptional and both can also be seen with the puppies. Please no waste of time enquiries… they will go to only to 5 star homes. The price for puppy is €1100. The deposit of €550 will secure your puppy. Please email [email protected] with your details and expression of interest.